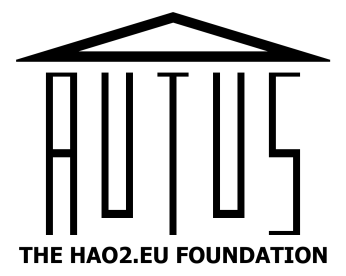 Autus, a charity specialising in teaching employability and life skills to people with autism, is seeking IT professionals to take part in its MentorMe3D scheme. The scheme matches people with autism interested in working in IT with a mentor who can advise them on how to get into the sector. The Minister for London, Gavin Barwell MP, saw for himself how technology can help people with autism gain skills for work and independent living on a visit to the Croydon hub of autism charity Autus. As well as logging into Autus' 3DNovations learning environment with his very own avatar and trying his hand at a 'snakes and ladders'-style serious game used to teach employability skills, Mr Barwell spoke with some of Autus' learners, who explained how Autus had helped them learn IT skills, gain qualifications and find paid work. How do you influence decisions if they are made according to rules that are clear to everyone except you? How do you make your voice heard if you have grown up with an unpredictable barrage of disapproval, exclusion and ridicule whenever you try to express yourself? Especially if you've therefore withdrawn from the world, maybe to the point of not speaking at all? Arriving at the new 3D Launch Point, I am immediately greeted by the first thing anyone new to virtual worlds needs to know: how to make my avatar move about, and thus explore this new environment. Balance, Hao2 and Pure Innovations have been working together in a pilot supporting people with autism through the virtual world using a Connect Up virtual café designed by a young man with autism. Europe and Autism: United in Neurodiversity? The aim of improving autism support in Europe is laudable. However, is it informed by too negative a vision of the future for people on the spectrum? Read more about Europe and Autism: United in Neurodiversity?